GUIDE PRICE £365,000 - £395,000. 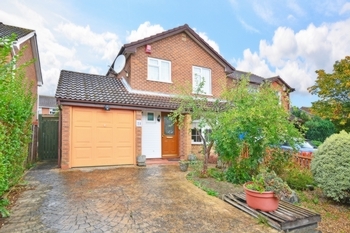 This extended and enhanced family home offers a huge amount of entertaining and family space. 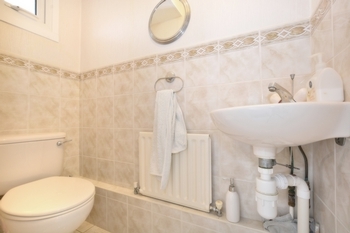 With three double bedrooms, 19' kitchen, 19' Dining/family room, double glazed conservatory and lovely rear garden, this is a house not to be missed. On entering the house you walk into the central entrance hall with doors leading to the lounge, downstairs WC and stairs lead you to the first floor. A door to the right of the entrance hall opens into the bay recessed lounge. 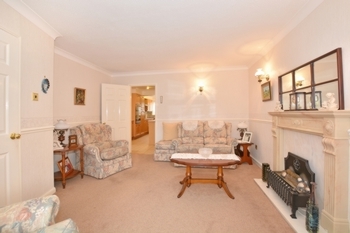 The lounge sits to the front of the house and benefits from a bay window that looks out onto the garden. The lounge offers pleasant relaxation space yet equally makes an ideal room for entertaining. 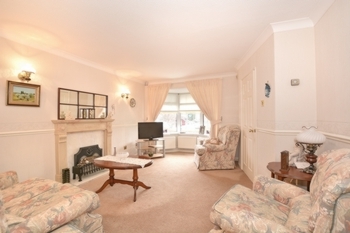 Within the lounge there is ample floor space for sizeable sofas and additional furniture. 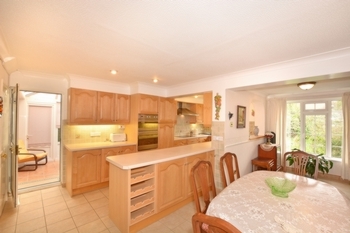 Moving through the lounge you enter the main hub of the house, the stunning 19'1" kitchen and 19'1" diner/family room. 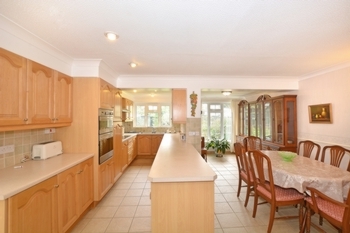 The kitchen area boasts a generous range of base and eye level units with complementary work surface space. 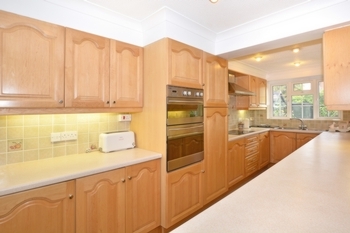 This stunning kitchen has been fitted with a full range of integrated appliances which include: Oven, separate grill, hob, fridge and dishwasher. 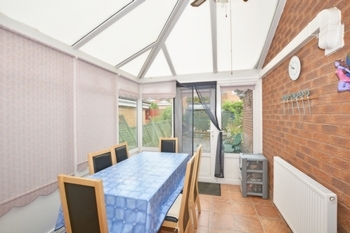 A window over- looks the rear garden and a door provides direct access to the double glazed conservatory which is situated at the side of the property. 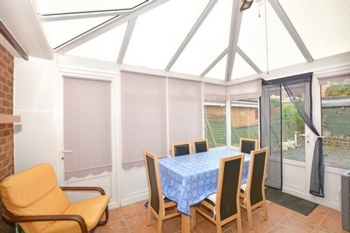 The conservatory provides access to the rear garden and integral garage. 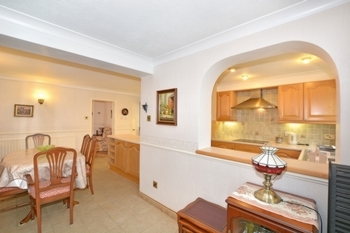 The kitchen flows fantastically into the dining area which can comfortably hold a 6 seater table and further beyond the dining area its open planned to the family room. 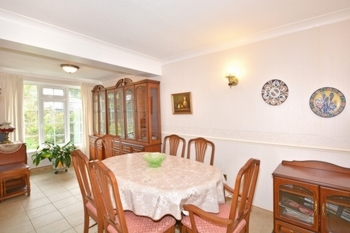 The dining area/family room is an extension to the property, further enhancing this fantastic house, giving it plenty of space for sofas, TV cabinets and plenty of floor space for the children to play. 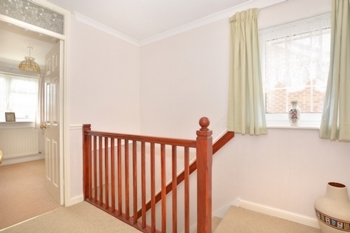 Moving upstairs to the first floor, the landing gives access to all first floor rooms including the airing cupboard. 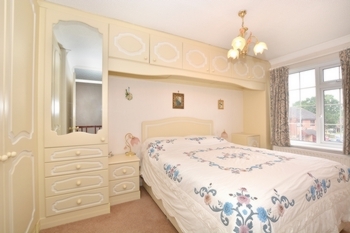 The master bedroom suite can comfortably hold a king size bed and free standing furniture. There are a range of wardrobe with hanging rails, shelving with overhead cupboards and window, taking care of your storage needs. The master suite features a window to the front overlooking the garden and still has plenty of space for additional free standing furniture. 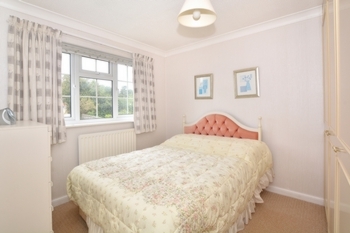 Bedroom two is a double room and is at the rear of the house, it has space for a king size bed and a range of bedroom furniture. Bedroom three is a small double room and sits to the front of the house, it provides space for a double bed and has an over stairs built in cupboard. 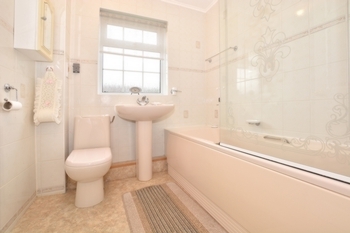 The re fitted family bathroom is fitted with a three piece suite, incorporating a bath with shower over the top, sink, WC, heated towel rail and window allowing for ventilation and light. 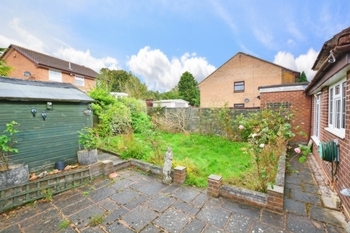 The beautiful rear garden is a real benefit to the property. A generous patio stretches across the back of the house offering an ideal family/entertaining space and space for garden seating. 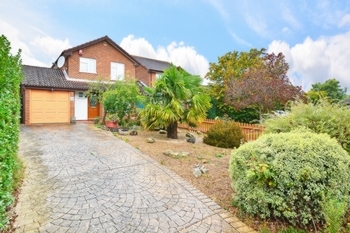 There is an inset area of level lawn which forms the central part of the rear garden which is enclosed with mature shrubs and plants providing a good degree of privacy all accompanies with raised flower beds. To the front of the property there is a block paved driveway for at least 4 cars an area of shingle with inset mature shrubs and trees all complimenting the curb appeal of this property. An up and over door gives access to the integral garage with power and light and personal door. Although located in Ifield the property falls under Horsham District Council and is rated at band D. The benefits of this are the access for Rusper Primary School for children aged 4-11, with higher education available at The Forest School for boys and Millais School for girls (both located in Horsham). The schools lay on schools buses to collect children from Ifield and surrounding areas making the journey fun and less stressful for Mum and Dad. Located within Ifield there are variety of convenience stores, award winning Indian restaurant, beautiful walks around the refurbished Mill Ponds, local parks and Ifield Train station is located 0.7 miles away.